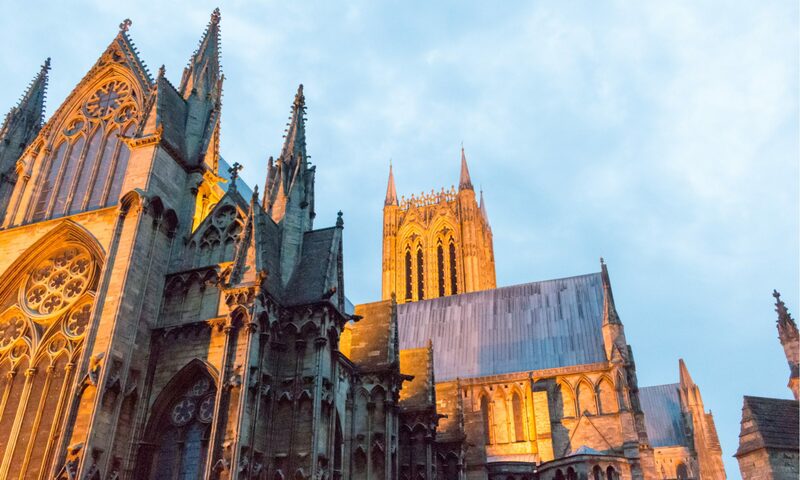 You can get in touch with the general enquiries team at Lincoln Cathedral by calling 01522 561 600. The Lincoln Cathedral is a huge part of the Lincoln history. The construction of Lincoln Cathedral started in 1072 by Bishop Remigius and was consecrated in 1092, unfortunately, Bishop Remigius died the same year shortly after the cathedral was consecrated. The Cathedral has seen lots of tragedies including a great fire in 1124 and an earthquake in 1185. In 1186 Hugh of Avalon becomes Bishop of Lincoln and he started the rebuild of the cathedral after the earthquake, he passed in 1200. The morning chapel started to be constructed in 1192, the chapter house was started to be built in 1220 and the dean’s eye window was installed in 1220 too. 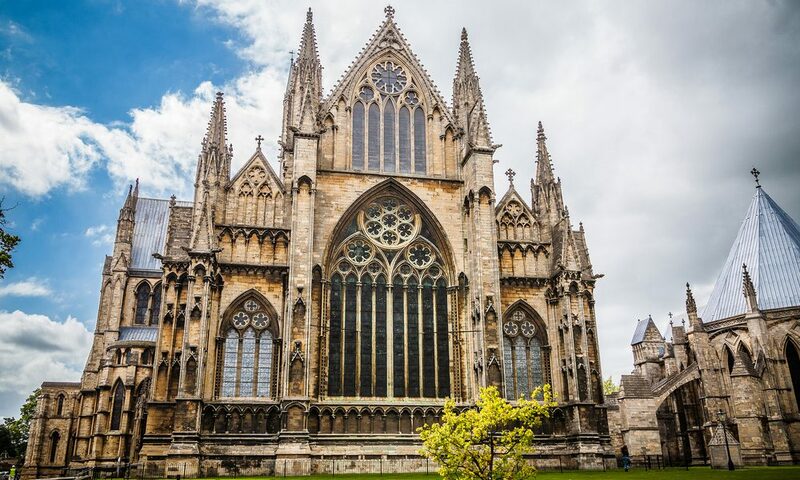 Throughout the years the cathedral has seen itself collapse and be rebuilt with new areas and building being built throughout its time and you can now view it all on a visit to the legendary site in Lincoln. There are lots to do at the cathedral whether you want to attend a service, hear the choir, explore the library, send your school class on a trip around the site, find out more about the history of the cathedral, go on a tour of the cathedral or attend an event you can find everything you can do on the official cathedral website where the cathedral team explain everything you can find and do at the cathedral. The cathedral also has a shop online and on-site that sells jewellery, books, gifts, music, collectables and religious ornaments/giftware. There is also a coffee shop serving refreshments and food and a library. You can find out more about what going on in the cathedral by calling the enquiries phone number on 01522 561 600 or check the cathedral’s website or social media accounts. The cathedral opening times are Monday to Saturday 7.15 am to 6 pm and on Sunday they’re open 7.15 am to 5 pm. These opening times may vary depending on specific events or a service that may be happening on that day, you should call up before visiting if you are worried about it being open. The shop is open Monday to Saturday 9.30 am to 5 pm and on Sundays from 10.30 am to 4 pm (subject to service). The coffee shop is open Monday through Saturday from 10 am to 4.30 pm and on Sunday from 12 pm to 4 pm. The library is open from April to June and September to October from Monday to Friday from 1 pm to 3 pm and on Saturday from 11 am to 3 pm. It is open in July and August Monday to Saturday 11 am to 3 pm. to check other opening times please call the cathedral enquiries team. Admissions to the cathedral only are £8 for an adult, £6.40 for concession, £4.80 for children ages 5-16 (under fives enter free) and £20.80 for a family ( 2 adults and up to 3 children). Admission to the cathedral and castle (called a joint ticket) cost £17.20 for an adult, £13.90 for concession, £9.60 for children 5-16 years (under fives enter free) and £44 for a family ticket (2 adults and up to 3 children). Events and tours cost different prices to find out more go to the website or call the Lincoln Cathedral ticket team on 01522 561 644.